A typical image of the making and administration of policy suggests that it takes place on an incremental basis, involving public servants, their ministers and, to a more limited extent, a variety of interest groups. Yet, much policy making is based on similar policy developed in other jurisdictions and in the major international organizations such as the WTO and the OECD. In other words, significant aspects of nationally developed policies are copied from elsewhere in what is described as a process of policy transfer and learning. Hence, studies of policy transfer have pointed to a distinct limitation in most existing theoretical and empirical explanations as to how policy is made and implemented through their neglect of the role of policy transfer and learning. Moreover, policy transfer is not only a concern of academics, but a growing concern for governments. The latter are concerned to improve the performance of their policy and several have placed a greater, more systematic focus on policy transfer as a means to increasing performance. 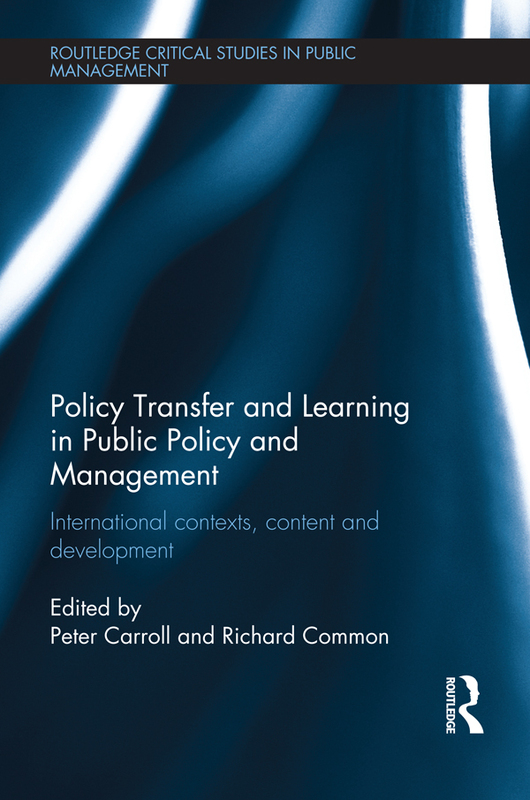 This book presents a variety of cases from differing national and international contexts that enable a valuable, comparative analysis that is absent from most literature currently available and that suggest a number of exciting research directions with implications for policy making, transference and implementation in the future.